In Ancient Greece, olive trees were considered sacred while olive oil was an extremely valuable commodity. Only wealthy people and the nobility could afford to enjoy olive oil for food. More commonly it was used in medicine, cosmetics and religious ceremonies. People believed olive trees were a gift from the gods and cutting them down was even punishable by death. According to an ancient Greek foundation myth, the goddess of wisdom and warfare Athena and the god of the oceans Poseidon both competed to become a patron for the flourishing city of Attica. It was decided that the one who could offer the most precious gift to the inhabitants of the city would win. Poseidon struck the ground with his trident and created a powerful salt-water spring, symbolising naval power. Athena, when it came to her turn, planted the first olive tree, which stood for prosperity and peace. The grateful people chose the olive tree as a source of food, medicine and wood. Thus, Athena was proclaimed the patron goddess of the city, which was renamed in her honour as Athens, the modern day Greek capital. Athena’s attributes, a wise owl and an olive branch, appeared on early Greek coinage and on the modern 1-euro coin. It is believed that Athena’s olive tree had thrived in the Acropolis of Athens for ages before being burnt to the ground during the Persian invasion in the 5th century BCE. However, soon after the devastating fire, people were amazed to discover new green olive shoots rising like a phoenix from the ashes. The legend goes that every olive tree in Greece has propagated from those shoots. Ever since, this hardy evergreen tree has been considered sacred and associated with longevity, health and fertility. Hippocrates, one of the most prominent figures in the history of medicine, highly valued the medicinal properties of olive oil. He believed it could cure over 60 different ailments, including skin conditions, eye and ear infections, wounds and burns. The cultural, religious and economic implications of olive oil were valued to such an extent that 7th-century BCE Athenian legislator Solon introduced a death penalty for anyone who dared to cut down olive trees. Olive oil acquired a special significance in regard to ancient Olympian traditions. It was used to fuel the ‘eternal flame’ of the early Olympic torch and light the temples in Olympia. Famously, Greek athletes trained and competed completely naked, so they had to regularly anoint their bodies with olive oil to protect their skin from the sun, prevent the loss of fluids, and, quite likely, to draw the public’s attention to their glistening musculature during the games. Interestingly, the victorious athletes did not receive any gold, silver, or bronze medals. Instead they were given ‘liquid gold’ – amphorae filled with the finest quality olive oil, which was an extremely expensive gift back in those days. But the most honourable award was a humble wreath, made from wild-olive branches from a sacred grove near the temple of god Zeus at Olympia. The owner of the olive ‘crown’ was guaranteed fame and respect for a lifetime. In honour of this ancient tradition, the winners of the 2004 Summer Olympics in Athens were also presented with olive wreaths. 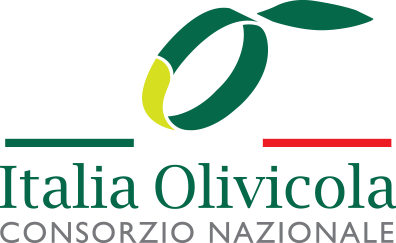 From early civilisations to the present day, the olive tree has retained its symbolic power as a global emblem of peace, victory and purity.